A New Order EP from 1982 is being given the ‘record store day’ remaster and reissue treatment. 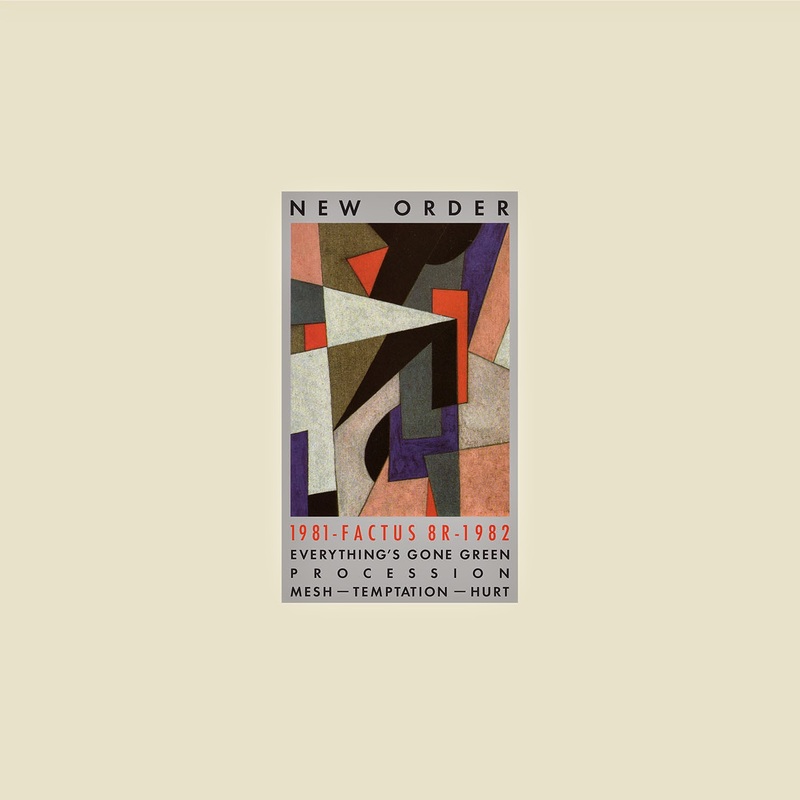 1981–1982 or “Factus 8” was released for the American market as a compilation of three of New Order’s early singles. It contains “Procession” from September 1981, plus the 12″ versions of “Everything’s Gone Green” (released December 1981) and “Temptation” (released May 1982) and two of the b-sides, “Mesh” and “Hurt”. A second b-side to “Everything’s Gone Green”, “Cries and Whispers” is omitted, as is New Order’s first single “Ceremony” / “In a Lonely Place”. The sleeve was designed by Peter Saville and uses a painting from his then-girlfriend Martha Ladly. This is one of my favourite records – all strong songs with a strong Joy Division vibe still present. Movement (New Order’s debut LP) was a bit stodgy – songwise and production wise – but this EP is first rate. An early New Order EP will be reissued as a limited edition 12″ record by Rhino/Warner on November 28th. All five tracks from Factus 8 aka 1981 – Factus 8-1982 (originally released by Factory in 1982) have been remastered for an exclusive Black Friday Record Store Day release, so be sure to visit your favorite participating independent record store early on Black Friday to snag your copy. via New Order’s ‘Factus 8’ EP remastered for 12″ vinyl reissue ~ …hang the dj.